Books are a great method of developing your lucid dreaming skills. They are motivating, thought-provoking, giving a lot of overview and innovative ideas about lucid dreaming. There are extremely interesting, best selling lucid dreaming books that are a great opportunity to improve your awareness in your dreams. Listening to a lucid dreaming audiobook – FOR FREE! 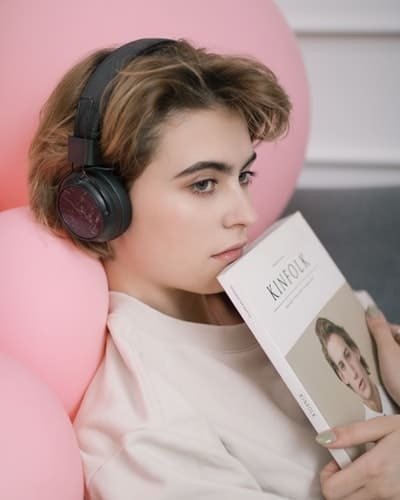 you will be able to finish the audiobook very fast too, which will provide you with a lot of ideas and new information about lucid dreaming! if you don’t like a chosen audiobook, you can easily swap it (still for free)! You can simply see if you like it for this free month, and if you don’t use it that much, you can just stop it. However, if you use it and enjoy it – after the 30 day period, the subscription will cost $14.95/month. After the trial, you’ll get 3 titles each month: 1 audiobook and 2 Audible Originals of your choice. Okay, so let’s take a closer look at the options that you have! 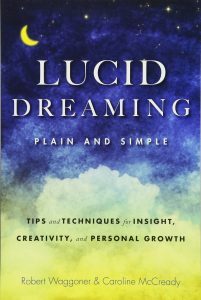 This book provides a step-by-step guide to develop a lucid dreaming practice. It is filled with the right tips, tricks, and information to explore your dream world. It includes a lot of little lucid dream stories which are interesting and inspiring. If you go this one, don’t rush to reach the end of the book. After each chapter/part, give yourself some time to practice what you have just learned. Overall, it is very practical, with achievable steps to attain a lucid dreaming state. You may notice how this book will increase your interest in your dream practice never before! He starts with his early experiences of basic lucid dreaming activities such as flying and interacting with dream characters. Furthermore, the book examines deeply the spiritual connections of lucid dreaming. It goes beyond pleasure-seeking (such as flying for fun), to pushing the boundaries of the mind, investigating topics like dream telepathy, healing, and subconscious harmony. The author covers the various techniques on how to sustain lucidity, and why these methods seem to work. The book is filled with techniques and tips. As the title says, they are clear, simple and easy to follow. The book is more technical than the one before. 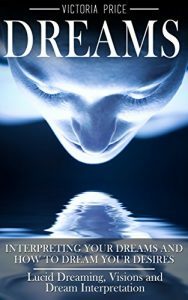 It covers every aspect of lucid dreaming and has a bibliography for readers who are left wanting more. 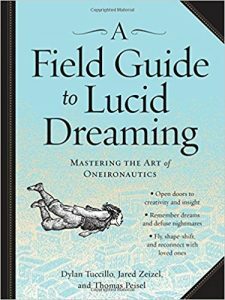 This is a manual for people interested in lucid dreaming. Includes good argument for why you should be interested, too. It is thorough and easy to read. After you finish with the book, you will feel that you learned so many new things about this topic (especially if you are a beginner). 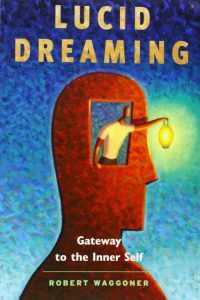 The author makes suggestions for the dreamer to consider when trying to self-interpret their dreams. She simply describes how to interpret dreams. After the 90 minute audiobook, you will be able to make sense of your dreams in a much more meaningful and helpful sense. You will learn several techniques and tools for understanding your own subconscious messages. The book’s first few chapters discussed some intriguing concepts about dreams. It includes questions such as why we dream, the conscious and subconscious mind, the interpretation of common dreams. It isn’t really a strategy book, but an explorative into the numerous parts of cognizant imagining. However, you can learn from it how to identify that you are dreaming. 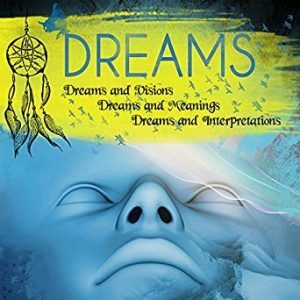 If you want to improve your understanding of dreams, this audiobook might be a great choice for you! An interesting and easy to follow audiobook from Dr. Sigmund Freud. 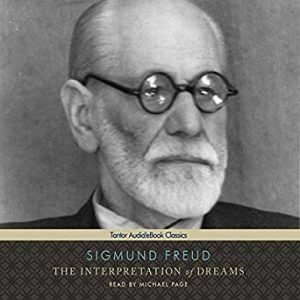 It is filled with Freud’s theories about the relationships between dreams and real life that he found through his investigation. If you look answers about the way our subconscious mind is connected to the events of our everyday lives and our memories – consider this audiobook. 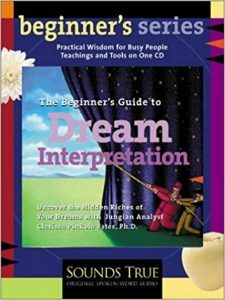 This book is not the usual dream interpretation book. It is a bit different than all of the rest, however, you might like it. Whether or not you are interested in spirituality/mysticism, this is a great resource for lucid dreamers, plus it is a hell of a story. It might let you wondering if it is a fiction or not. But all in all, that is not the important thing. 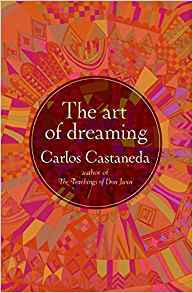 The Art of Dreaming explains the steps required to master the control and consciousness of dreams. So, if this sounds interesting for you, take a look at the audiobook! This one includes all of the basics about dreaming. 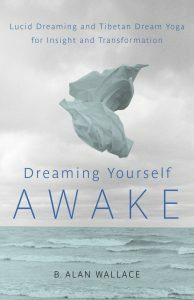 The author talks about the background behind dreaming in general and the history of dream interpretations. Afterward, you will listen into depth on possible explanations for certain aspects of the dream such as colors, numbers, and objects. You can also find common dream interpretations and their meanings. Overall, the book was a great source of information when it came to translating what was happening in your dream world. Part 1 describes lucid dreaming and gives exercises and tips on how to become a lucid dreamer. In part 2 of the book, Dream Yoga is explained. Dream Yoga prompts you to ask yourself, “Am I dreaming” when you are awake. In order to learn to become lucid in a dream during sleep, you need to be lucid in the awakened state as well. 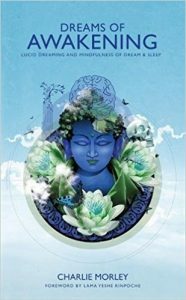 The part 3 of the book explains in depth some Buddhist concepts and talks about the illusionary nature of reality. 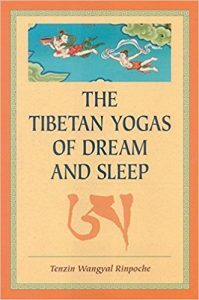 The skill of waking up in our dreams can transform our sleeping hours into a portal to our deepest experiences, and this book will tell you how! Inside you can find a detailed examination of the illusory nature of the mind – both conscious and subconscious. Further, it explains how to practice mindfulness/awareness while dreaming. Additionally, it provides details into the mechanics of the meditation process. It is good for all levels since it includes some great techniques, both for lucid dream beginners and the experienced once. 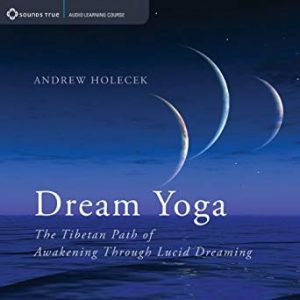 Dream yoga is a term used in Buddhism and other Eastern traditions to refer to what is called lucid dreaming in Western scientific circles. The last part has data related to both dream yoga and sleep yoga. To practice the exercises of this book you need to already have some basics visualization skills. Also, there is a small amount of this book is dedicated particularly to lucid dreaming. It is important to mention that If you are a lucid dream beginner, perhaps this book is a bit too complex. However, it is good reading for intermediate or advanced lucid dreamers. Overall, much of the book is a discussion on the nature of reality, which gives the mental groundwork to successfully lucid dream.